Council Members Terry Whibley and Barclay Winn were present. Police Reports – Crime statistics in the Denby Park area are down. Recognition was given to the Norfolk Police Department for their work in the area and to the City for the purchase and demolition of run-down properties. Additional properties will be purchased with funds approved by City Council. Virginia Natural Gas has started the next phase of its gas main replacement on Granby Street. The City, who works closely with VNG on projects, has sent out a flyer provided by VNG. Concern was expressed that VNG did not restore vegetation in the medians after previous right-of-way construction. The City will be replacing the water main on Virginian Drive between Thole Street and Galveston Boulevard. The project will move the current water main along the Norfolk Southern railroad right-of-way into the street. Virginian Drive will be closed to through traffic during construction. Project contact is David Speer in the City’s Bureau of Engineering at 757-664-6724. Traffic problems have gotten worse on Granby Street south of Little Creek Road and on East Little Creek Road to Taussig Boulevard, due to the additional traffic lights and the Norfolk Southern trains that go through the area during rush hour. The City has funded a city-wide traffic light timing study. It was requested that the City consider making the Wards Corner area a top priority for this study. It was requested that the City look into constructing sidewalks along Thole Street between the railroad tracks and Tidewater Drive. It was also requested that the City look into the cause of water that stands in the street at 300 – 500 East Little Creek Road during heavy rains. The City held a charrette on October 19th on the future of the Denby Park area and use of the properties the City has acquired. Information on the results of the charrette has been sent out. City staff will consider the public input and will continue to engage residents on short-term and long-term development options. A zoning ordinance amendment on the size and shape of residential driveways was passed by City Council. This amendment allows wider driveways where vehicles have been parked on the grass. Zoning staff sent letters to property owners and residents along the section of West Little Creek Road between Granby Street and Hampton Boulevard on this issue. Citations are being issued for vehicles that continue to park on the grass, some of which will likely result in court action. K&K Square continues to be the major driver of the transformation of Wards Corner. The Starbucks and Moe’s Southwest Grill in this shopping center are among the top performers of their franchises in the region. The City would like to see additional restaurants in the Wards Corner area. The Wendy’s on East Little Creek Road will be undergoing a façade change. Kotarides closed on the purchase of the Kroger/Work Force property. The existing leases will remain in place; no long-term plans for the property have been announced. The Wards Corner Business Association is working with the Tidewater Striders to consider a 5-K foot race in 2017 to showcase the Wards Corner area. The WCBA will be in touch with civic leagues and the City to develop race plans and logistics. Come join the Greater Wards Corner Area Business Association for our final meeting of 2015. We meet: Tuesday November 17th@ 8:30 a.m. and end at 9:30 a.m. Doors open @ 8:00 a.m. Farm Fresh, 230 E. Little Creek Road, Norfolk in the Marine Room on the second floor. Topic: Why Buy into Buying Local? American shoppers’ desire to buy local has never been stronger. In this presentation, attendees will learn more about the localization movement and how it can drive profitability to their bottom line. Learn more about the power of your independently-owned status and how you can use it to inspire your potential customers to buy local. Please RSVP gwcaba@cox.net or call and leave a message 587-7975 to insure we have adequate handouts. The continued growth and improvement of your business area is crucial and depends on you and your involvement and the effort you are willing to commit. There is strength in numbers and that is why it is so important to have a strong Business Association, working together as one. Mark your calendar, come and join your fellow business partners. 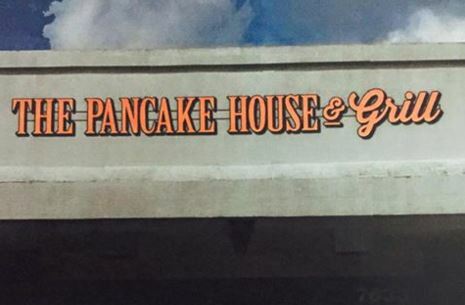 Rendering of the new “The Pancake House & Grill” sign. The Pancake House has been a staple at Wards Corner since Nicholas Renasis’ father opened the doors in 1962. Fifty three years later, Nicholas is planning to close the old location and reopen immediately next door in a completely new restaurant buildout. The new design and location should not scare any loyal patrons away as the restaurant is slated to maintain its family casual atmosphere as well as its breakfast and lunch menu offerings. The most notable change, aside from moving next door to the location of a former podiatry office, will be the added dinner hours and the change in name from “The Pancake House” to “The Pancake House & Grill” which reflects the dinner menu offerings that will be available such as crab cakes, seafood, and steaks. The breakfast and lunch menu will still be available during dinner hours. Dinner will be served Tuesday through Saturday for now with potential expansion to Sundays and Mondays in the future. The new location will have 75 seats at approximately 24 tables including a 8 seat bar with wine, beer, and mixed drink offerings. A mid-December opening is planned. 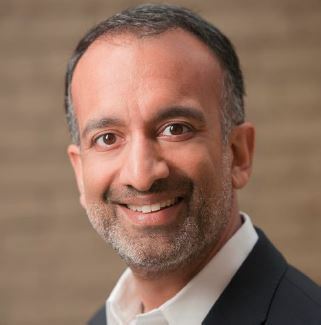 Rajiv Chandrasekaran was a senior correspondent and associate editor, and national editor of The Washington Post. During his newspaper career, he reported from more than three dozen countries and was a bureau chief in Baghdad, Cairo and Southeast Asia. In 2014, he wrote the bestselling book For Love of Country: What Our Veterans Can Teach Us About Citizenship, Heroism and Sacrifice with Starbucks chairman and CEO Howard Schultz. York Times and inspired the movie Green Zone. You are currently browsing the Wards Corner Now - Wards Corner, Norfolk, Virginia blog archives for November, 2015.